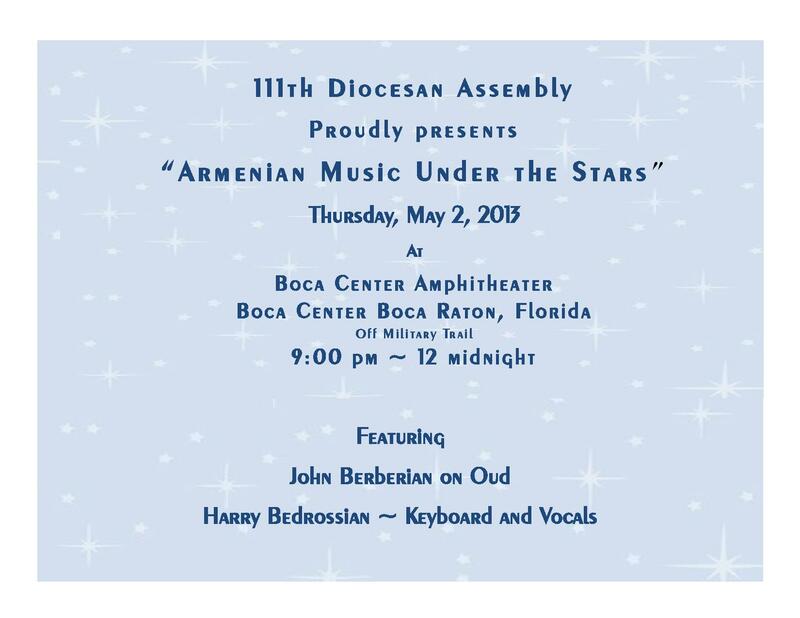 Boca Raton, FL – The Diocese of the Armenian Church of America (Eastern) is pleased to announce the details of the 111th Diocesan Assembly, scheduled to convene May 2 through 5, 2013, in Boca Raton, Florida. 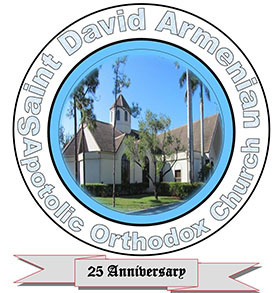 St. David Armenian Church will host the Diocesan gathering, which will bring together several hundred Armenian Church leaders from throughout the Eastern Diocese—including clergy, parish delegates and parish council chairs, the Diocesan Council, leaders of Diocesan organizations, and members of the Diocesan staff. His Eminence Archbishop Khajag Barsamian, Diocesan Primate, will preside over all the gatherings and events. 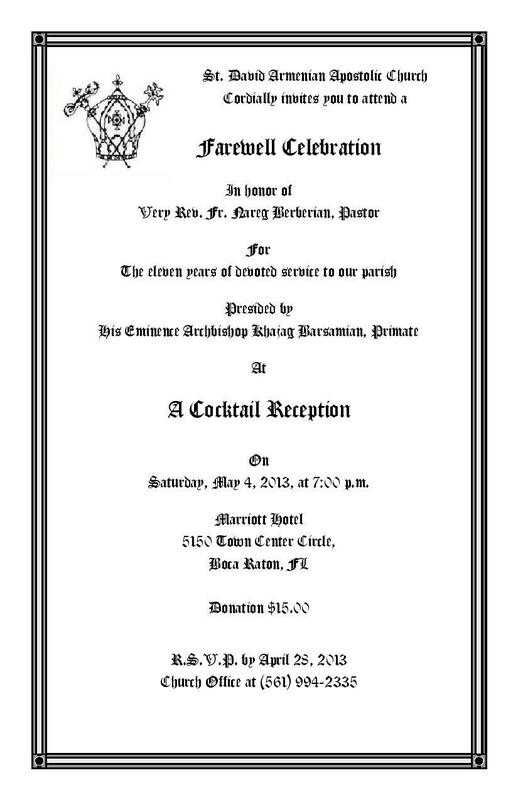 A highlight of the week of activities will be the annual Diocesan Assembly awards banquet, on the evening of Friday, May 3. 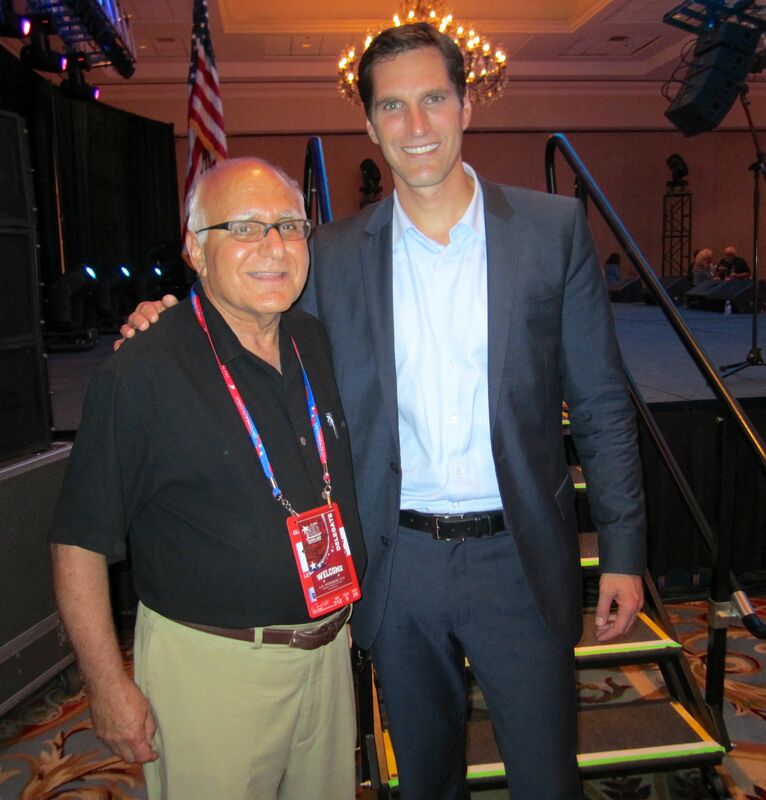 At that time, Mr. and Mrs. Edward and Janet Mardigian will be honored as the Diocese’s 2013 “Armenian Church Members of the Year.” Natives of the St. John Armenian Church of Southfield, Michigan, Edward and Janet Mardigian have been heroic benefactors of the Diocese and the Fund for Armenian Relief (FAR), and are continuing the grand legacy of leadership, participation, and support established by Edward’s late parents, Mr. and Mrs. Edward and Helen Mardigian. 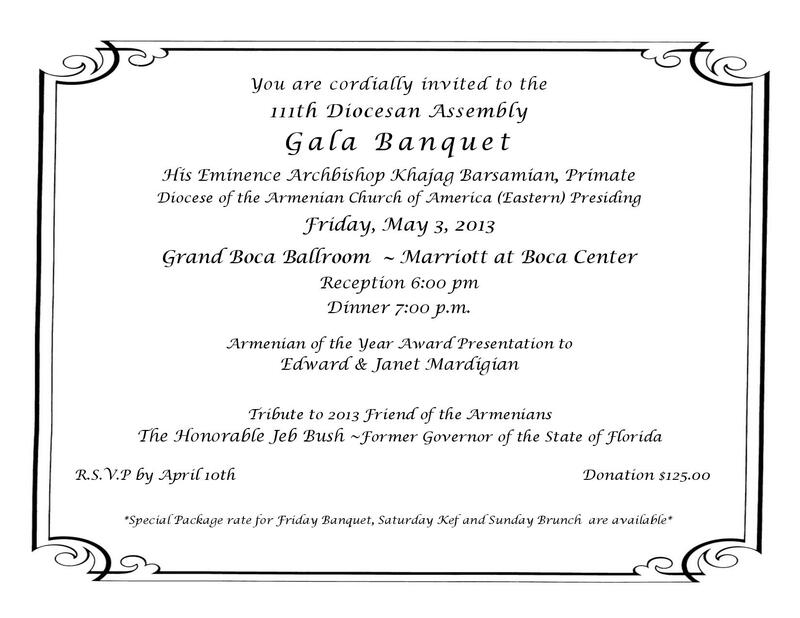 The “Friend of the Armenians” award will be presented to former Florida Governor Jeb Bush, who visited Armenia in the wake of the 1988 earthquake. Prior to the Assembly itself, clergy from across the Diocese will meet for their annual Clergy Conference and retreat, from Monday, April 29 through Wednesday, May 1. The Diocesan Women’s Guild General Assembly also convenes during the week. This year, leaders of parish Women’s Guilds will begin their annual meeting on Thursday, May 2, at 10:00 a.m. under the presidency of the Primate, with all Diocesan clergy participating. The Women’s Guild Central Council’s fourth annual Woman of Wonder (WOW) Appreciation Luncheon will be held on Saturday, May 4. 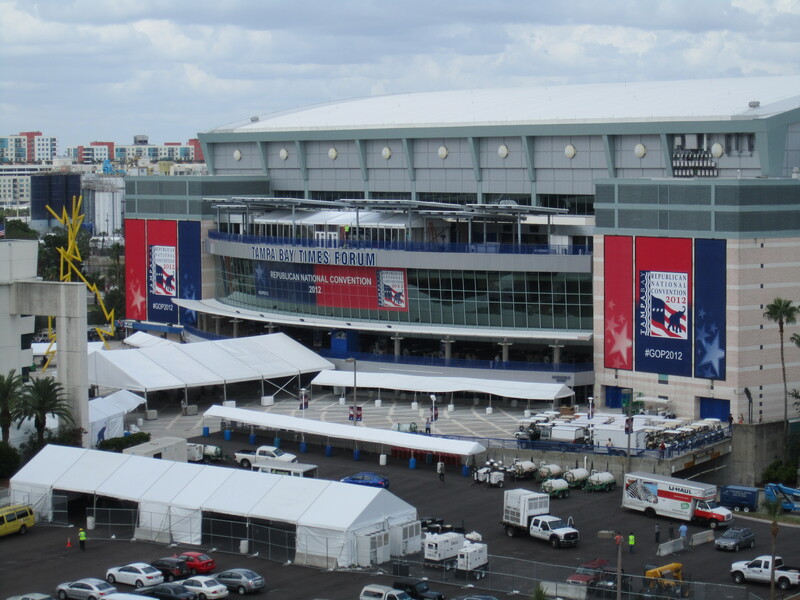 This year’s honorees are Carol Norigian, Nina Stapan, Claudette Sarian, Rose Kazanjian, and Naomi Davitian. 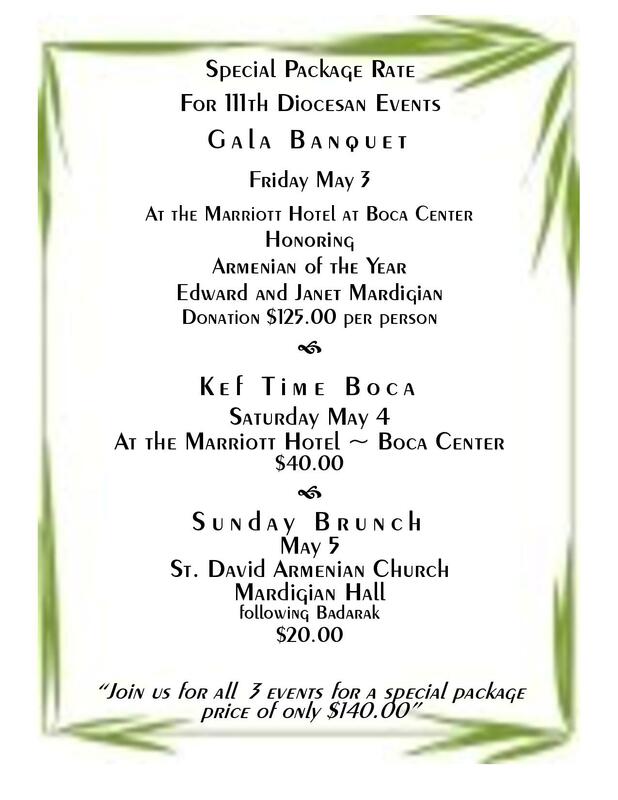 On Sunday, May 5, the Primate will preside over a special Divine Liturgy at St. David Church for the Assembly attendees. 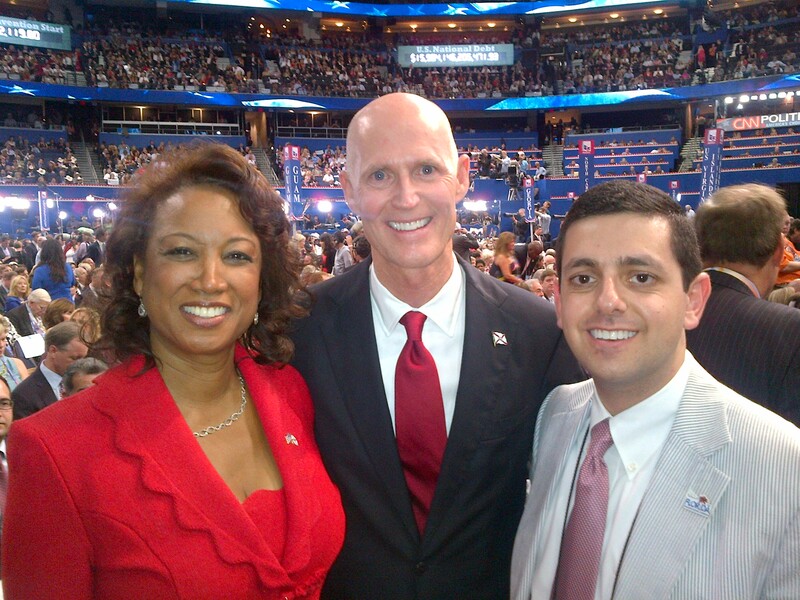 The host parish, under the leadership of the Very Rev. Fr. 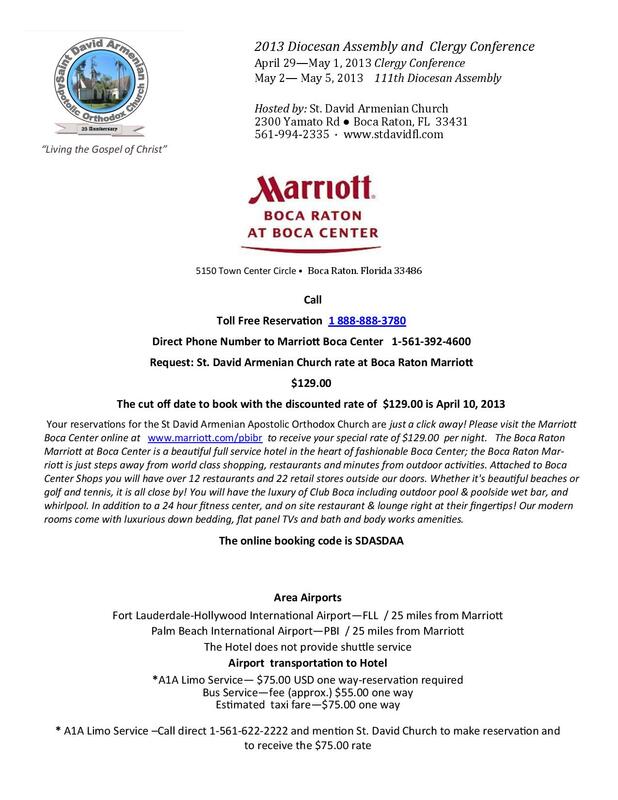 Nareg Berberian, has arranged for accommodations at the Marriott Boca Raton Hotel (5150 Town Center Circle, Boca Raton, FL 33431), where the sessions will also take place. To register, please click to print out the forms below and follow the instructions for submission.